THIS LISTING IS FOR A SIZE SMALL DOG COSTUME. PLEASE MAKE SURE YOU'RE PURCHASING THE CORRECT SIZE. As the saying goes, "All dog goes to heaven" so dress up your adorable cutie in this Heavenly Hound dog costume. 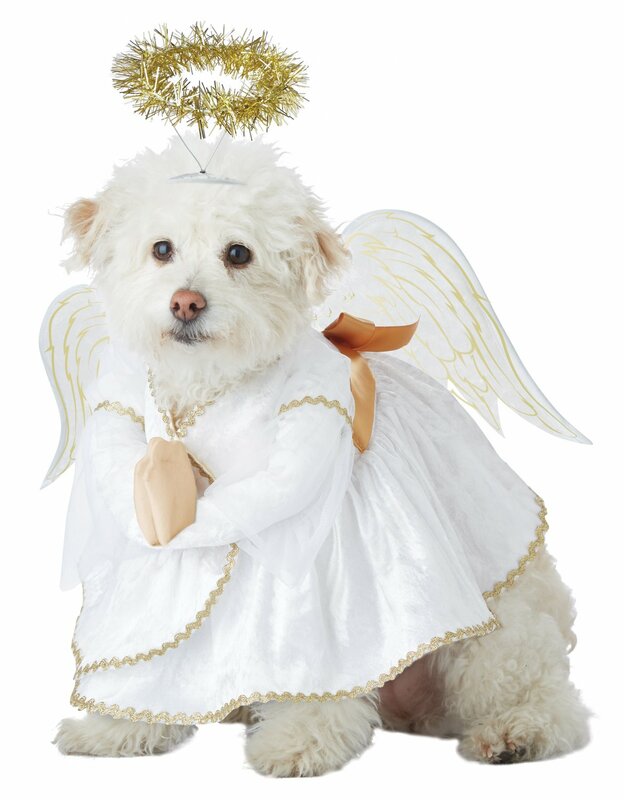 Our Heavenly Hound dog costume features a dress, wings and halo. Sizing Chart is based on manufacturer listing. Approximate measurements. X-Small: up to 8"	12-16"	10-12"
Small: up to 12"	16-20"	12-14"
Medium:	up to 16"	20-24"	14-16"
Large: up to 20" 24-28" 16-20"